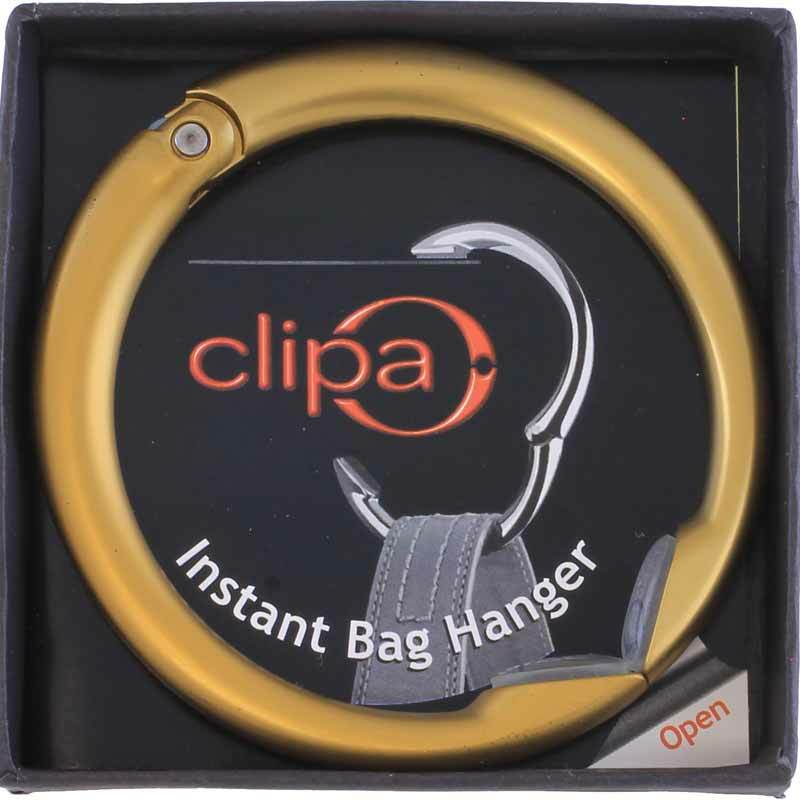 The Clipa is a strong, circular bag hanger designed for bags up to 33 lbs. Sturdy, non-slip pads on both ends offer great gripping power. Satin finish complements antique brass hardware. Works in seconds. Designed for heavy bags and backpacks up to 33 lbs. 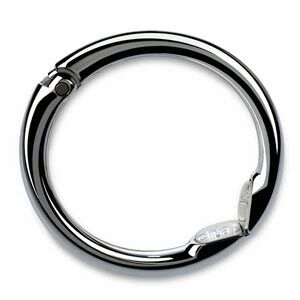 A travel must-have in a modern design, the Clipa is a round purse hook with an automatic closure system. 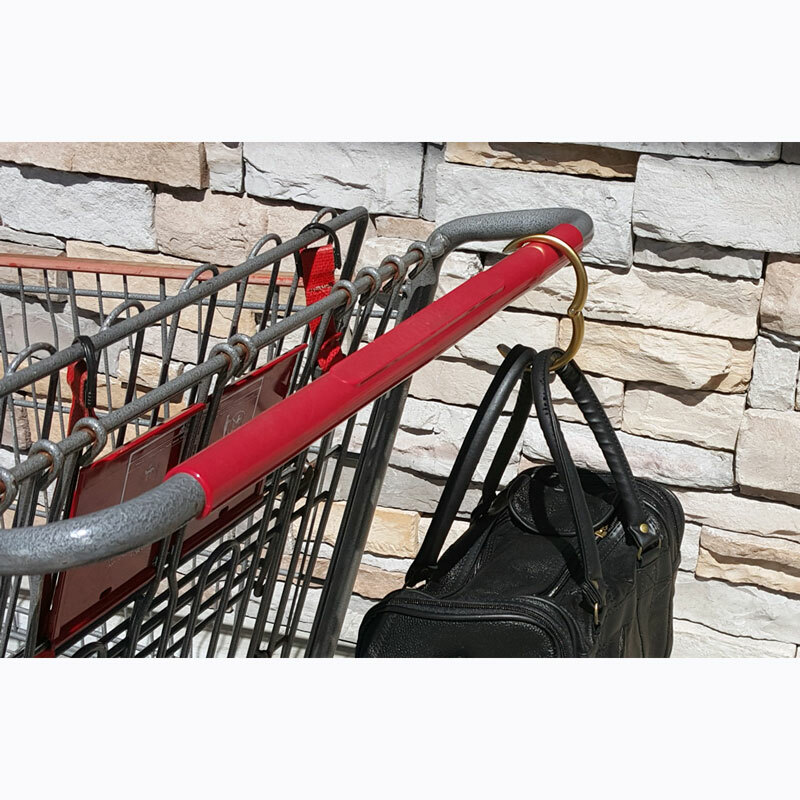 Simple and easy to use, it protects your handbag from water, dirt and germs while extending handbag life. Attaches to sturdy bag straps and backpack loops. 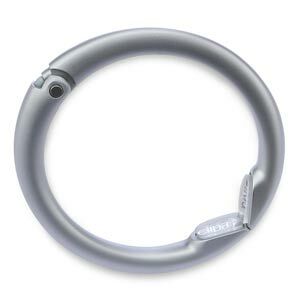 To use, simply open either end and hang your purse. 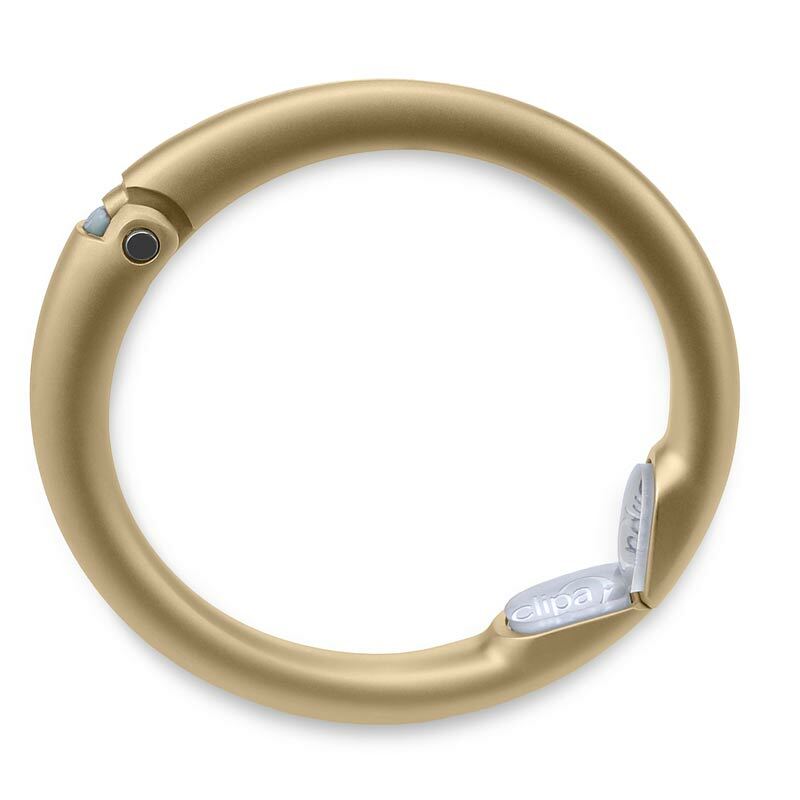 When you’re finished, just pull the strap and Clipa goes back onto the bag with an audible “click.” Our matte gold finish is plated with a Physical Vapor Deposition (PVD) finish so it will stand up to daily use. 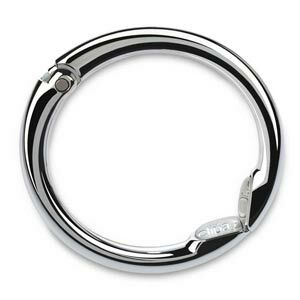 Found on many high-end outdoor fixtures, this finish molecularly binds to the metal for unmatched durability. 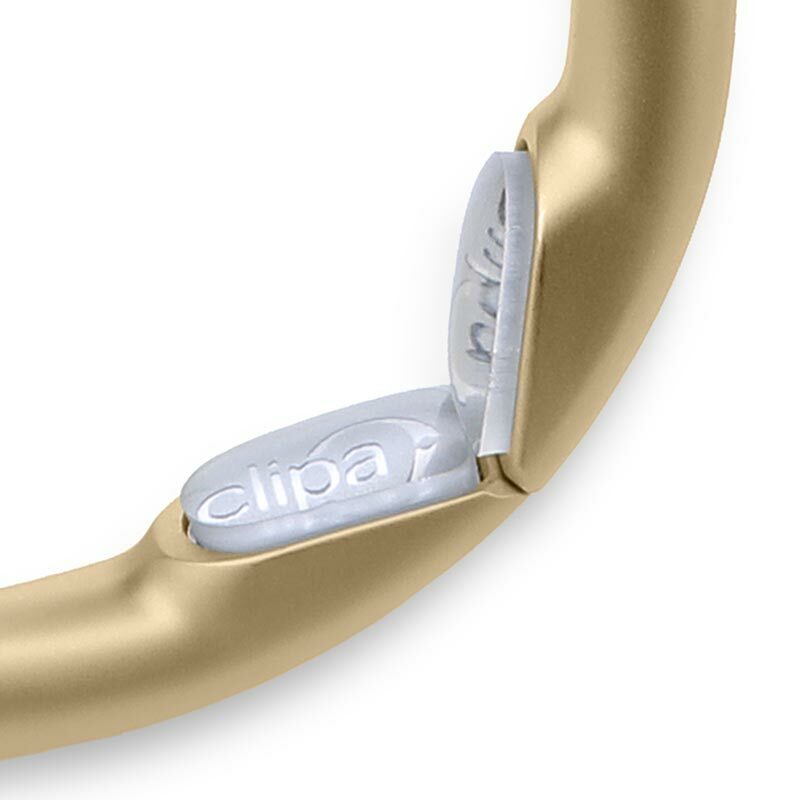 The Clipa never needs polishing and has been tested to provide 10 years of trouble-free service. 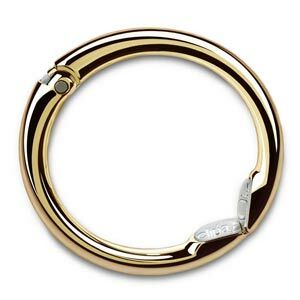 Just think of how many places you’ll use this versatile handbag hook: girl’s night out, shopping, offices, movies, salons, sporting events, concerts, the list is endless. Great for single and double strap purses, backpacks and business bags. Your purchase is backed by a 30-day satisfaction guarantee: if you’re not completely happy, send it back within thirty days of delivery for a full refund or exchange. Click add to your cart for yourself and your best friend.